Dress up your Designabear in this super cute Chad Valley Design-a-Bear Kitten Outfit. 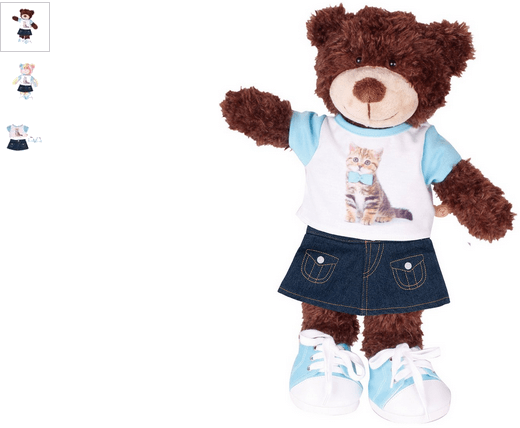 Your Bear friend will look so cool in their stylish new threads which include a T-Shirt with a cute printed photographic kitten image, a denim skirt and canvas lace-up shoes. Get money off with April 2019 free Argos voucher codes, see if there's a promo code for the Chad Valley Design-a-Bear Kitten Outfit product. Argos may be out of stock of this product. To enhance your shopping experience you may also be redirected to a search results page when you click an outbound link.